Get ready and get set for the Big Sur International Marathon Expo! At the Expo, participants in the Marathon, Relay, 21-, 10.6- and 9-Milers, 5K and 3K will pick up their race bibs, goody bags and event shirts. There will also be over 80 vendors offering a variety of fitness apparel and equipment. Friday from 12pm-6pm and Saturday from 9am-6pm. 2 Portola Plaza, Monterey. Get a sneak peek into the Moss Landing Marine Laboratories during their annual Open House event. 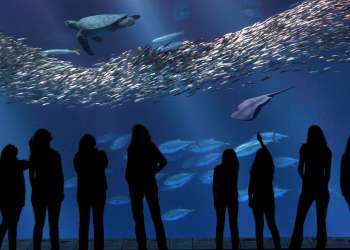 There will be all sorts of family fun activities such as live animal touch tanks, a fish printing craft corner, a puppet show, and exploration of the facility. Students and faculty will also give educational presentations on their research. Saturday and Sunday from 9am-5pm. 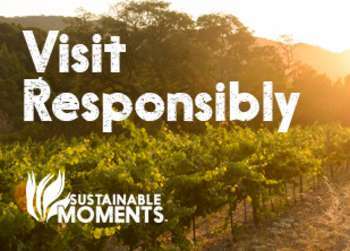 8272 Moss Landing Rd, Moss Landing. Free event. Catch a performance of “Love Letters” at the Pink Flamingo Theater. This fun story is comprised of letters exchanged over a lifetime between two people who grew up together, went their separate ways, but continue to share confidences-physically apart, perhaps, but spiritually as close as only true lovers can be. Friday and Saturday at 7:30pm and Sunday at 2:30pm. 2115 North Fremont Ave #C, Monterey. $20. Grab a glass of vino and enjoy live jazz from the Gary Meek Quintet at Folktale Winery this afternoon. 4:30pm-7:30pm. 8940 Carmel Valley Rd, Carmel. Free event. The By-the-Bay 3k kicks off bright and early this morning at Lovers Point. This fun run, associated with the Big Sur International Marathon, is fun for all ages along Pacific Grove’s scenic coastline. 8am-10am. Lovers Point, Pacific Grove. $5 for children under 17 and $20 for adults. Get the kids out of the house and into the museum during Science Saturday! 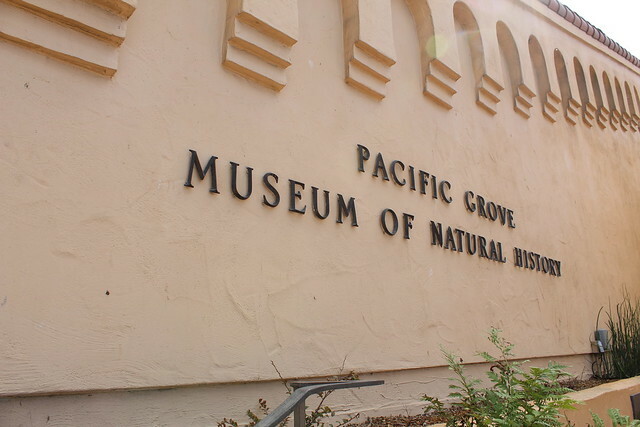 Today the Pacific Grove Museum of Natural History highlights “Connected to Nature” with free family activities and a meet and greet with a live red-tailed hawk. 10am-3pm. 165 Forest Ave, Pacific Grove. Free event. Experience a memorable night of poetry, music and visual arts during Noche Bohemia at Sherwood Hall in Salinas tonight. 6pm-9pm. 949 N. Main, Salinas. Free event. Thousands of athletes from around the world take on the Big Sur International Marathon this morning. The challenging, yet beautiful, 26.2 mile course has even been named as the "Best Marathon in North America" by The Ultimate Guide to Marathons. Other marathon-day events include a 21-mile power walk, 5K run, 9-mile walk, 10.6-mile walk, and a marathon relay. 7am. Big Sur & Carmel. The Sunset Center hosts “Dances of the World” this afternoon featuring talented young musicians from local schools. 3pm-5pm. San Carlos St at Ninth Ave, Carmel by the Sea. $20. Fergus stops by Folktale Winery this evening for amazing acoustic cover tunes. 4:30pm-7:30pm. 8940 Carmel Valley Rd, Carmel. Free event.